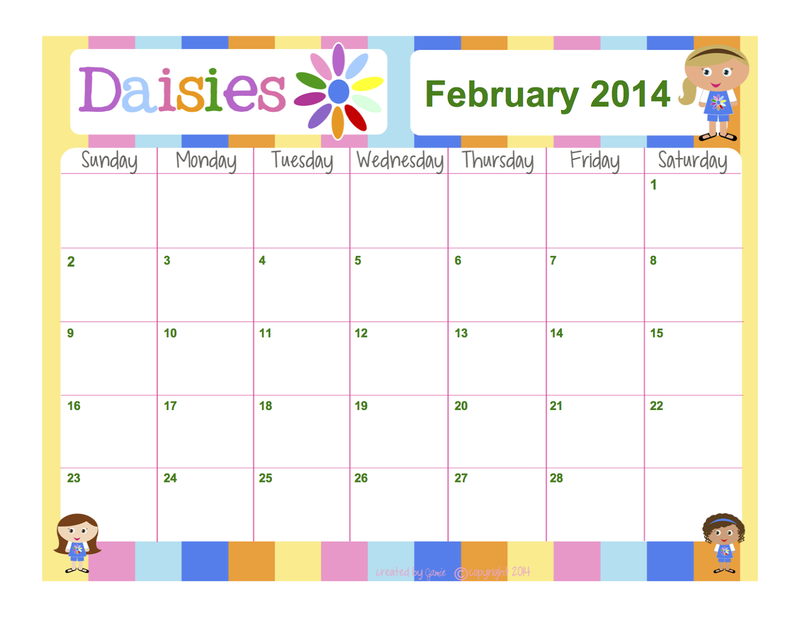 Here is a Daisies calendar that you can edit in Word! Fill in troop events, activities, meetings, etc. and just email to the parents! Download HERE or click on the image below! Enjoy! A notice about Word documents: Sometimes the formatting can change from computer to computer. So be aware that you may have to do some formatting changes to this calendar after you download it. I also have this in a PDF format that you can hand-write in the dates and events. These are gorgeous! 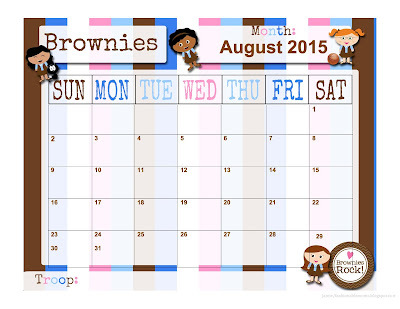 Do you have one of these for Brownies? I've searched your site and can't find any. These are awesome. Do you have any for July 2015- May 2016? Thanks so much! I love this! When I click on it it opens in a webpage and I cannot figure out how to save it to Word in order to make changes. I would love to use it for my new Daisy troop. Thank you for your help! Hi Sara!! The file opens in Google Drive, so you will need to download it from there. You should see a row of white icons at the top where the black is (you may need to hover your mouse over them to make them appear). Hit the download button--the down arrow with the line underneath. The file will save to wherever your computer saves its downloaded files. Hope that helps! Thank you for the free Daisy calendar - it is so adorable! 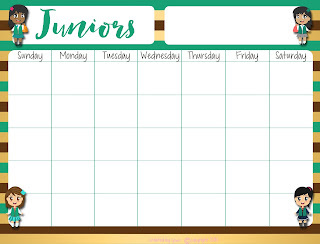 I will be creating a Junior calendar soon, as my own daughter just bridged:) It will be ready and posted by mid-August! Thanks so much for visiting my blog!!!! Do you have a 2016-2017 for Daises? Hi Suzy! With this particular Daisies calendar, you can edit the year and dates to whatever you want in Word! 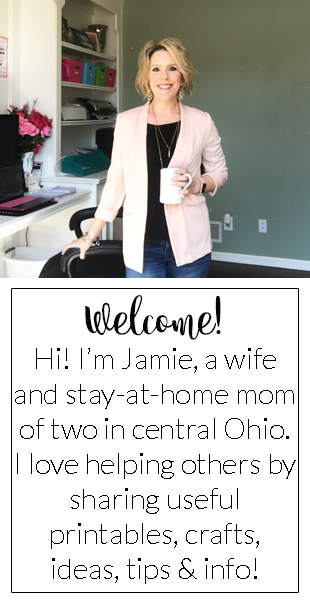 I also have a brand new version where the format is a little nicer, with dates filled in for the 2016-17 school year: http://fashionablemoms.blogspot.com/2016/09/free-printable-new-girl-scout-calendar.html. Hope that helps! Thanks for visiting my blog!! Hi. I would love to have just the colorful image "Daisies" including the flower. Is that possible? Hi Stacy! Awww I'm so sorry, I'm not allowed to give away/sell the images:( I purchased the clipart from the Etsy shop bitsycreations years ago.